ELK CITY, Okla. (AP) — Talk about a marriage proposal to remember. An Oklahoma man proposed to his girlfriend last week while an officer tried to arrest him on two outstanding warrants. 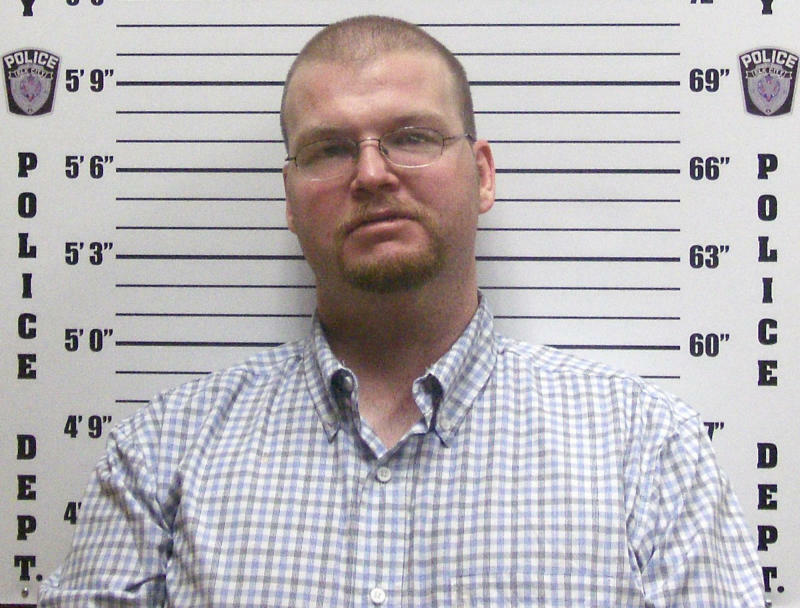 An officer spotted Justin Harrel of Elk City in a local park last Friday and discovered that he had outstanding warrants out of two counties for obtaining cash or merchandise by bogus check, according to court documents. Police said Harrel resisted arrest at first. "I advised Justin that he was under arrest and directed him to turn around and place his hands behind his back," the officer wrote in his police report. "Justin said, 'Steve, let's talk about this. Give me five minutes.'" When the officer took him into custody, Harrel explained that he was about to propose to his girlfriend. He asked if he could go ahead with the proposal. The officer allowed Harrel to complete the marriage proposal, and Harrel's girlfriend eventually said yes. Harrel then asked the officer to get the engagement ring from his coat pocket and give it to her. The officer handed the ring to the girlfriend. Harrel was not cited for resisting an officer.